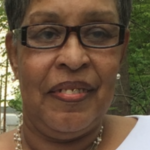 Beverly Jean Pendergrass 67, went to eternal rest on Saturday, April 13, 2019. Funeral Services will be 2:00 P.M. Saturday, April 20, 2019 at G.C. Williams Funeral Home Inc., 1935 W. Broadway Street. Visitation with family will be from 6-8 P.M. Friday, April 19, 2019 at the funeral home.